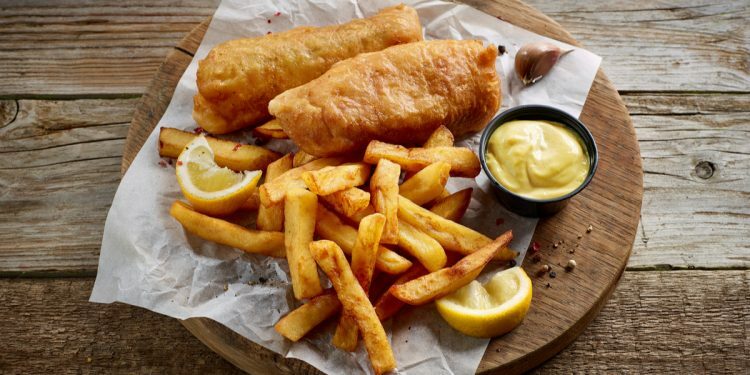 The old classic, fish and chips. 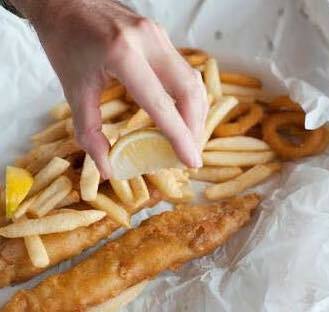 Show us a fair dinkum Aussie who doesn’t like a good fish and chips and you’ll be showing us a liar. Ideal for lunch or dinner, and even breakfast if you are really craving it. 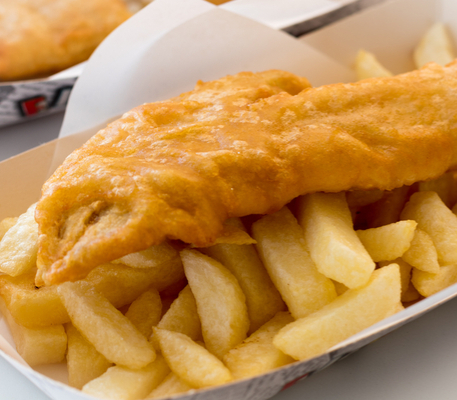 Fish and Chips are a national treasure that can be shared on the beach or savoured in a restaurant. With such a huge coastline, where else to look for than Perth for its best fish and chips. 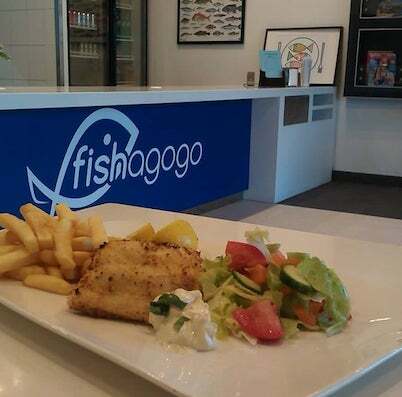 Coming in at 3rd in the 2018 Fish and Chip awards, Fishagogo is a wholeheartedly Australian seafood restaurant located in Spearwood. 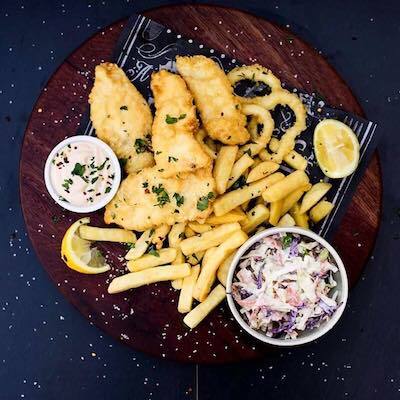 Passionately run by a 2nd generation family obsessed with all things from the sea, Jason Manifis is serving up some of the freshest and tastiest fish and chips around. PS. try the fish burger; we have heard it is one of the best around. The philosophy of Tankk ‘Support Local & Help Local’ is proudly one of the first things you read on the website. This restaurant serves only the freshest produce from Paul & Anna’s beloved Western Australian coast. The menu allows for full customisation, you choose which fish, batter and sides you would like! For fresh and tasty Fish and Chips get down to Tankk Gourmet Fish and Chips. 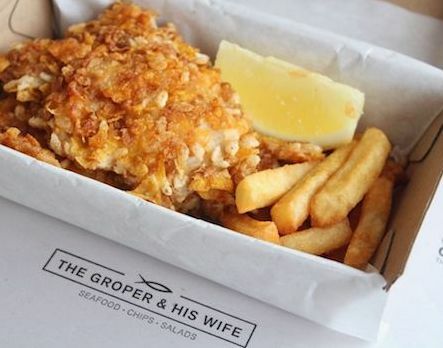 Situated right on City Beach and donning the slogan, ‘Perth’s best Fish and Chips is The Groper and His Wife. This eatery is serving up brilliant fresh fish with crispy batter and a sides and salads menu second to none. Paired with great service, what else can you ask for? Make sure if you are ever around City Beach to visit this long standing Fish and Chip shop. Falling just out of the Top 10 in the WA Fish and Chip Awards in 11th spot is Fisch on Broadway. Not only are the Fish and Chips to die for, but the location is also perfect for a lovely evening out. Order whatever your heart desires, from a huge selection of fish, then take it down to the Margaret River for a serene setting! Traditional, quaint, tasty. Three words to describe the Grand Lane Fish House. Tucked away in an alleyway, is a hidden surprise. 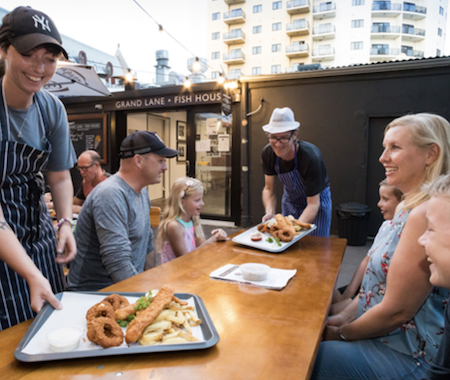 The Grand Lane Fish House serves hand cut potato chips and fish from around the world, creating a brilliant menu to fill the fish and chip sized hole in your stomach. 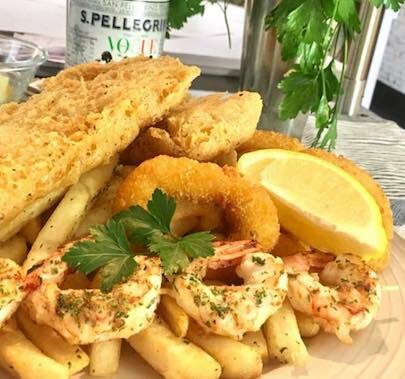 A Fish Called Inglewood is a casual seafood restaurant, serving fresh and gorgeous seafood dishes especially, a deliciously addictive fish and chips. 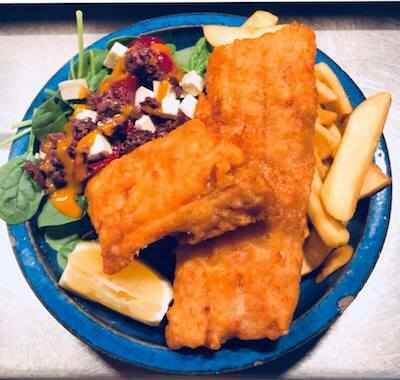 Choose between NZ Hoki or WA Snapper for your fish, then watch it be lavishly coated in their special cider batter, then you’ll truly know what make a perfect fish and chips. Oh my Cod indeed. Again, in the top 10 best Fish and Chips in WA, and who doesn’t love a pun? With incredibly friendly staff and delicious and fresh fish what else can you ask for? Not only do they serve fish, but their deep fried Oreos are to die for. If you’re looking for a more interesting option you can’t go past the Brazilian fish soup. Oh My Cod the food is good (get it, get it?). This homely and proudly local restaurant is serving up fresh WA produce with true pride. With new daily specials that are as fresh as possible, this restaurant can serve up all of your seafood cravings. Our choice would be to pair their fine Fish and Chips with their delicious Chilli Crab who some say is the best they have ever tasted! 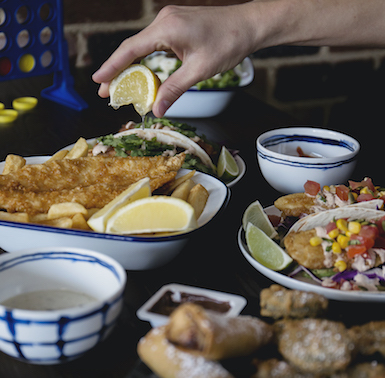 Boasting a delicious variety of fish to choose from, serving everything from Red Spot Emperor to Shark, Mount Hawthorn is a delicious spot for your fish and chip cravings. 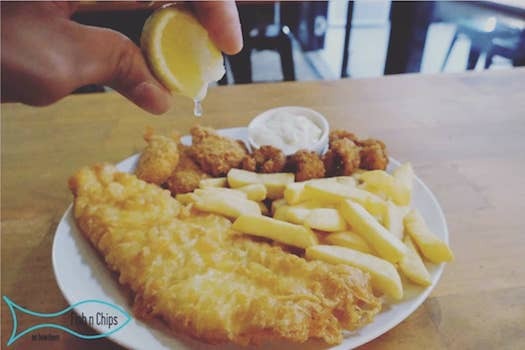 An interesting addition to the traditional fish and chips is the Salt and Vinegar bar, with all selections being made in house and including mixed chilli salt, and super lemon sauce! Totally unpretentious and completely honest. That is how you would describe Brighton Fish and Chips. With a friendly environment and equally brilliant fresh Fish and Chips, a trip to Brighton beach is not complete without stopping off at this little gem. A huge range of fish with crispy batter, mussels and oysters, what more could you possibly want?